Picture perfect turquoise beaches, brightly hued homes and business facades.. simply looking at the Dominican Republic can give anyone a big crush on the island. After trying the food? Well, that’s when one might fall in love. 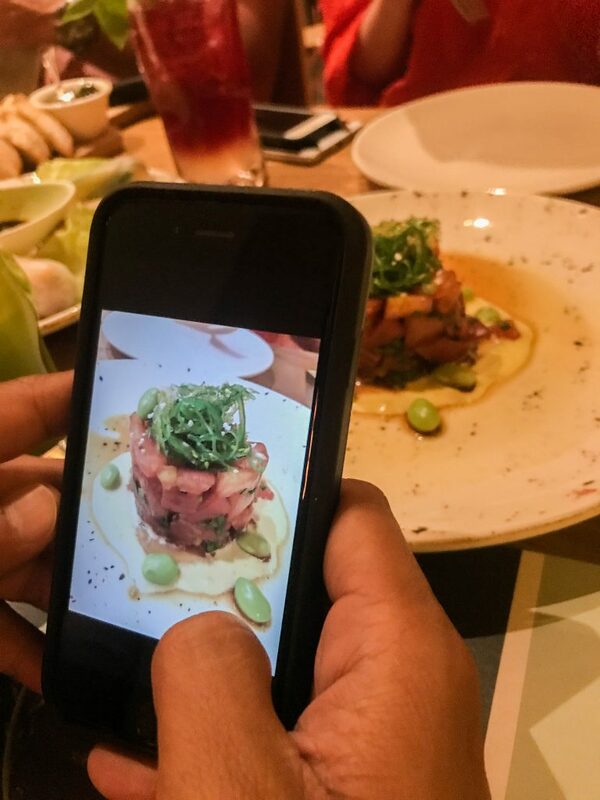 The Dominican Republic is home to amazing cuisine and unique experiences for foodies and travelers alike. 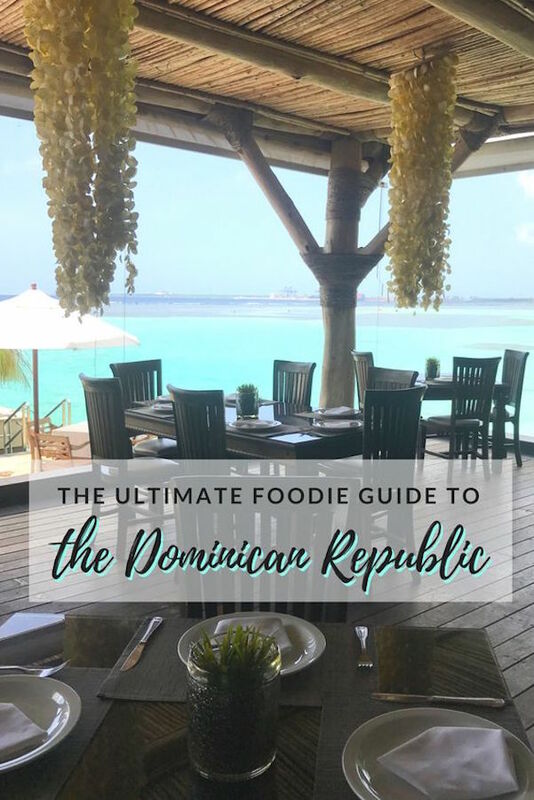 From foods to try to foodie experiences you have to have this foodie’s guide to the Dominican Republic will have you completely covered! 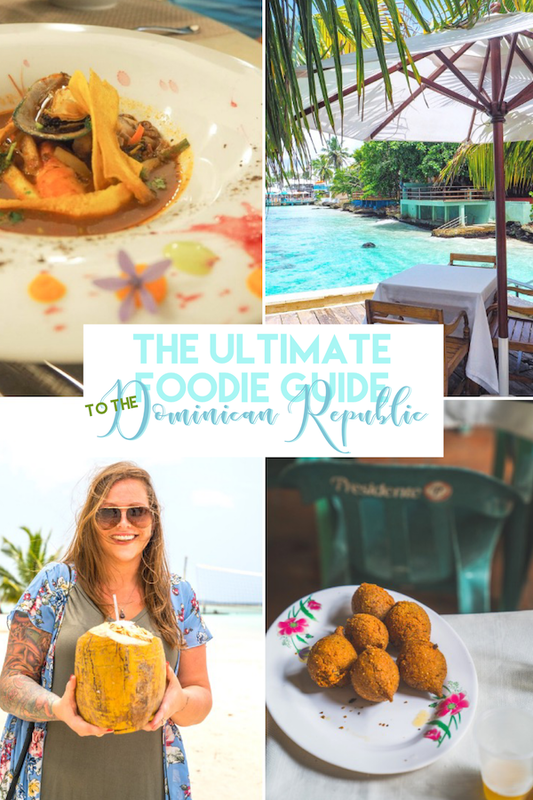 When it comes to eating in the Dominican Republic, there are some foods you simply can’t miss, more often than not, these dishes will become your go-to around the island because they’re so nice – you’ll want them twice. This dish is comprised of mashed and fried green plantains that are mixed and served with salt, garlic and oil. Traditional Dominican mofongo also has crunchy chicharrón (fried pork belly or pork rinds) mashed in, as well. Mofongo can be served for breakfast, lunch or dinner. A traditional, hearty Dominican stew, also known as “three meat stew” as it’s typically made with .. you guessed it, three meats (more often than not; pork, chicken and beef). Filled with starches: yucca, plantains, corn and spices: cilantro (or parsley) salt, garlic, and lime juice. This dish is extremely adaptable to what someone may have in their kitchen. Sometimes topped with rice or avocado! 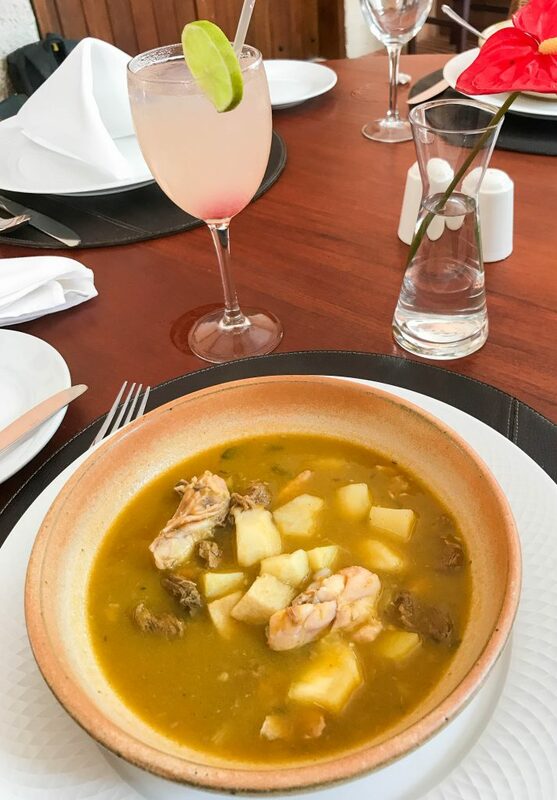 A perfect afternoon lunch, sancocho paired with lemonade. I mean, if you go to DR and don’t try empanadas, I’m not sure what you’re doing with your life. 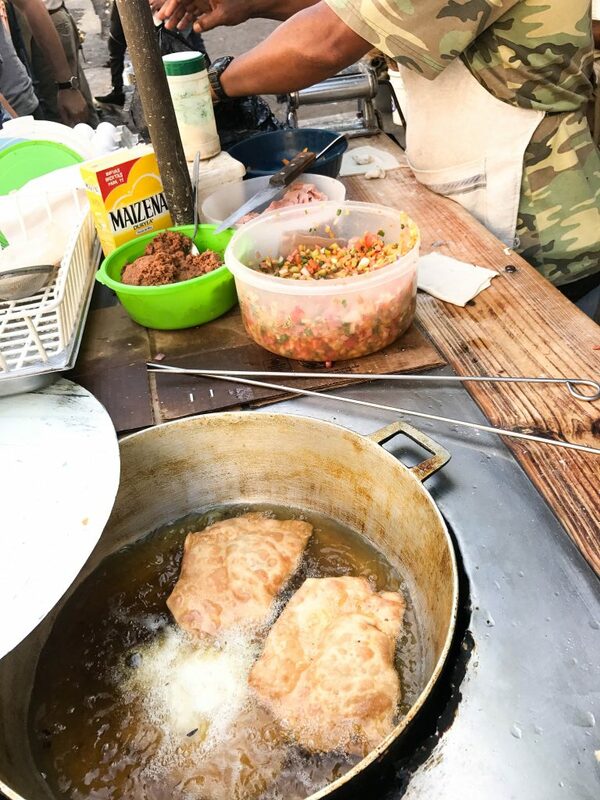 Empanadas can be found on menus in upscale and affordable restaurants alike as well as from street vendors and quick stop-spots. Stuffed with any and everything from meats to cheese and vegetables to seafood, there’s an empanada for every palate. 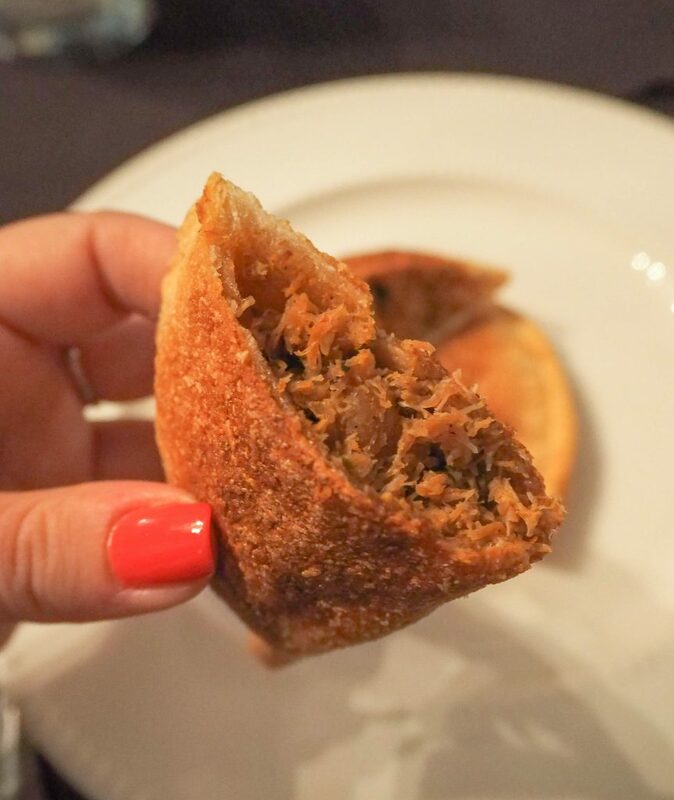 This particular-empanada was stuffed with crab meat, served at Meson D’Bari in Santo Domingo. 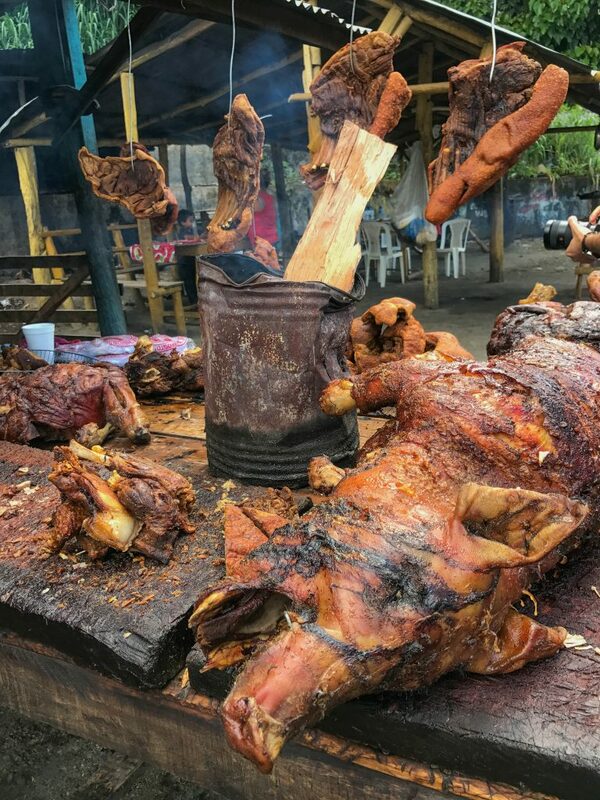 From fried pork skin, to deli style ham, to an entire BBQ’d pig, there’s no shortage of pork on the island of DR. My suggestion? Try it all! If you’re a fan of real lemonade, you’ll love the limonata in DR. More often than not it’s served mixed with a sparkling water as opposed to still, adding a lovely tingly sensation to the tartness of the lemonade – which is also often made with green “limes” as opposed to yellow lemons. Let’s face it, you’ll never acquire quality rum outside of the Caribbean. And if you do? It was probably manufactured – in the Caribbean! I suggest giving Ron Barceló rum a try as it’s the only rum in the Dominican Republic manufactured directly from sugar cane juice. A delicious, citrusy, Ron Barcelo Rum drink. This drool-worthy dish can be found in local restaurants and homes, alike. Each rendition adapted to the chef preparing it, but often the main ingredients include onion, garlic, olive oil, bell pepper, ground beef (or ground beef and ground pork), salt and pepper – sometimes with the addition of tomato sauce and cheese. 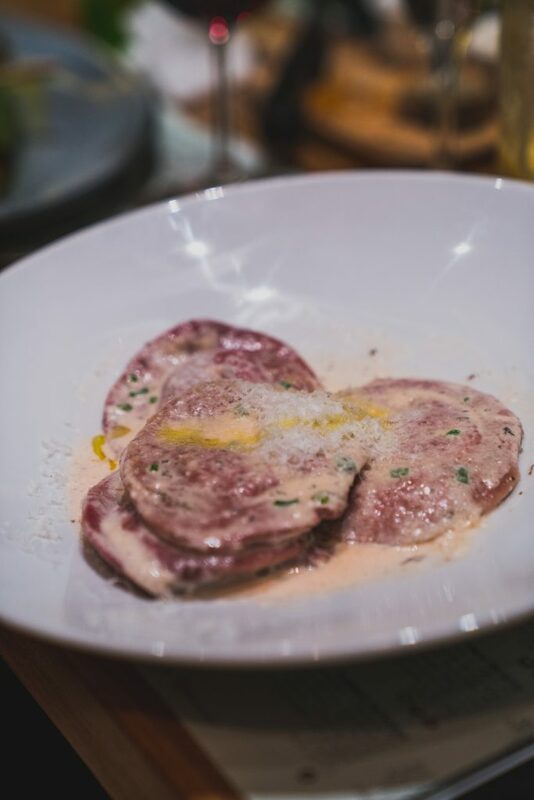 This dish is definitely worth getting off the beaten path for. Fun fact: quipes reflect the influence of Middle Eastern immigrants who once settled in DR! 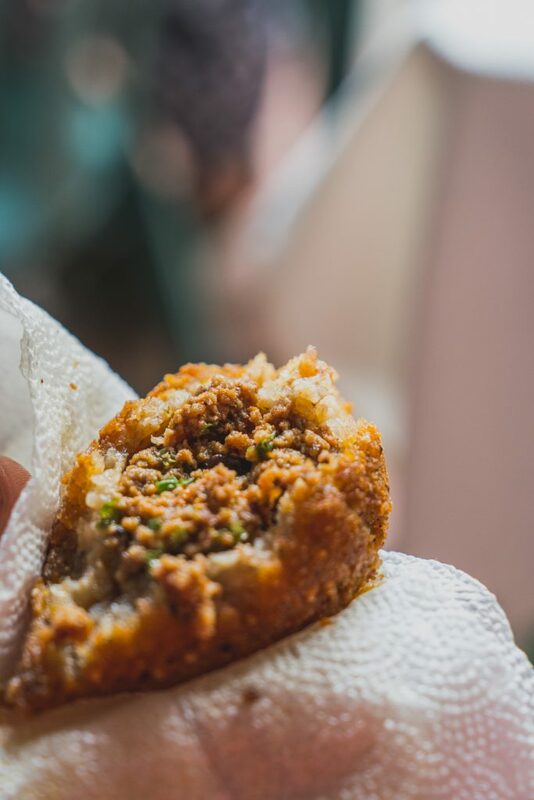 Essentially a deep-fried ‘fritter’ these quipes are most often stuffed with bell pepper, ground beef, basil leaves, onion, salt, pepper and sometimes raisins! A plate of quipes, ripe for the taking! I mean, you’re traveling to a tropical island – after all. Although coconut palms weren’t indigenous to the Dominican Republic, locals and chefs alike have found ways to adapt the tropical fruit into daily life. From simple coconut water (served in a coconut, of course) to using coconut milk as part of a marinade, going nuts for coconuts will not leave you disappointed in DR. 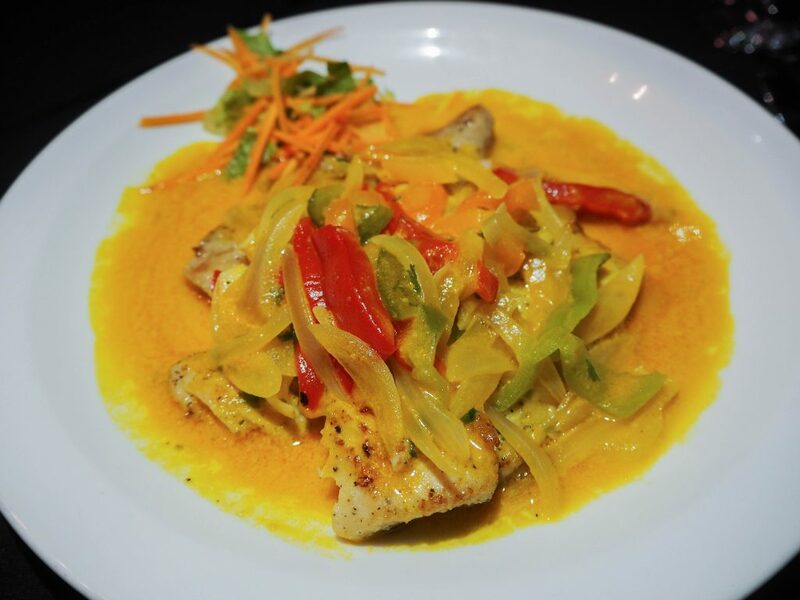 This delicious fish from Meson de Bari in Santo Domingo was marinated with coconut milk, peppers, onions and was drool worthy – to say the least. Earlier I mentioned mofungo but truthfully, anyway they serve plantains in DR will leave you happy. 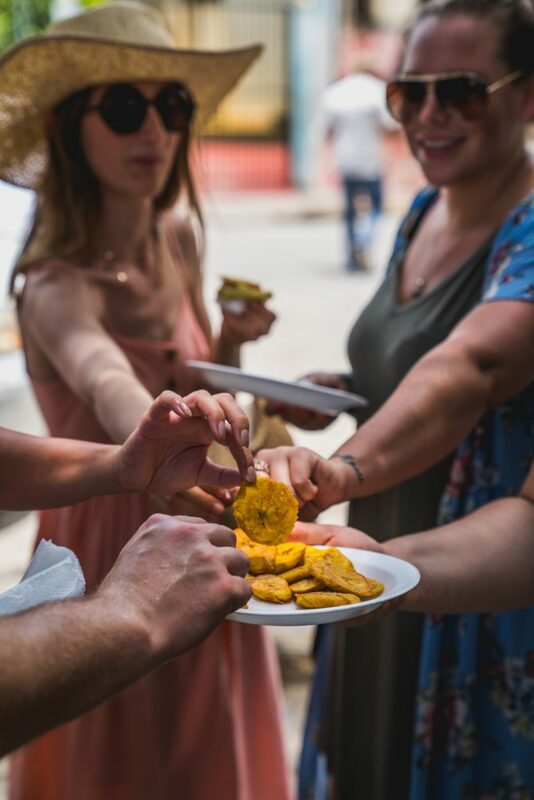 Head down to Boca Chica Beach and grab a plate of freshly fried plantains to share with friends! 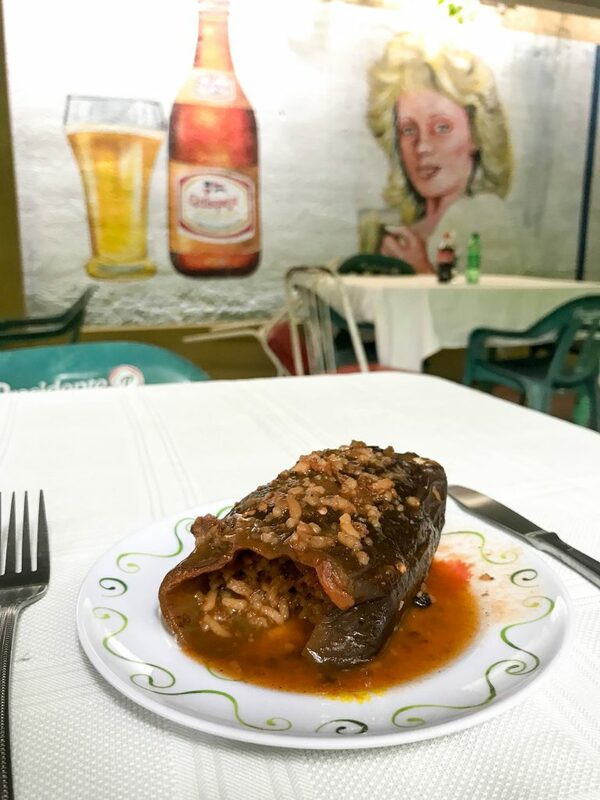 Okay, okay, I know, I’m starting to state the obvious – but seriously, if you travel to DR and don’t eat your fill of seafood, did you really travel to DR?! 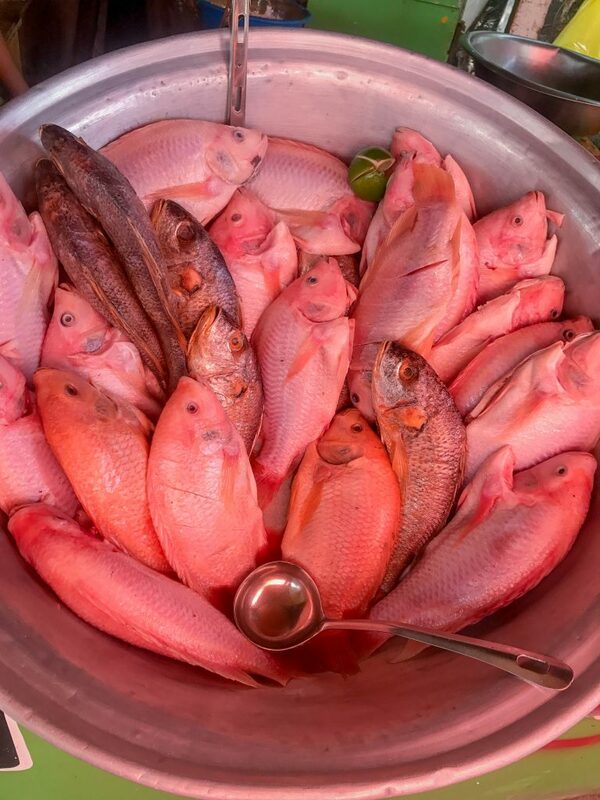 You’re on an island and nowhere else will you find fresher seafood dishes. My suggestion? TRY. IT. ALL. 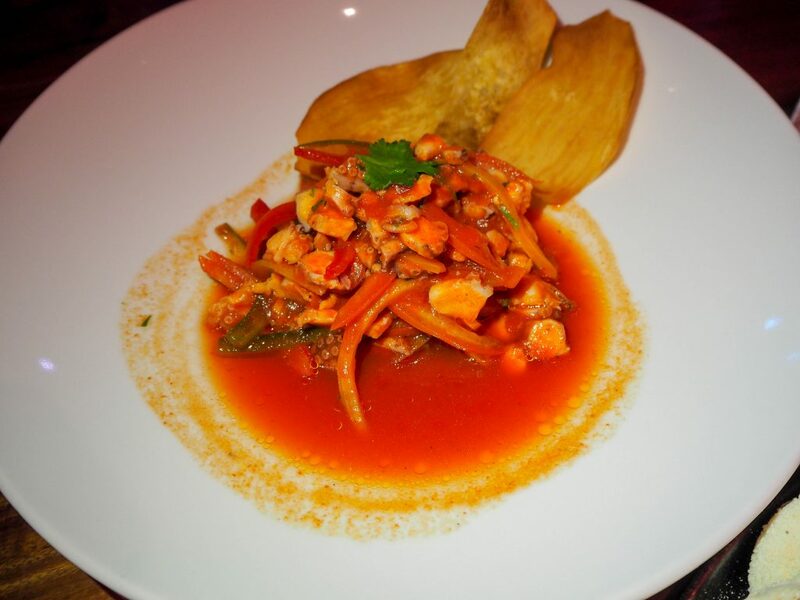 The seafood ceviche at Jalao in Santo Domingo was served in a delicious milk and orange marinade. 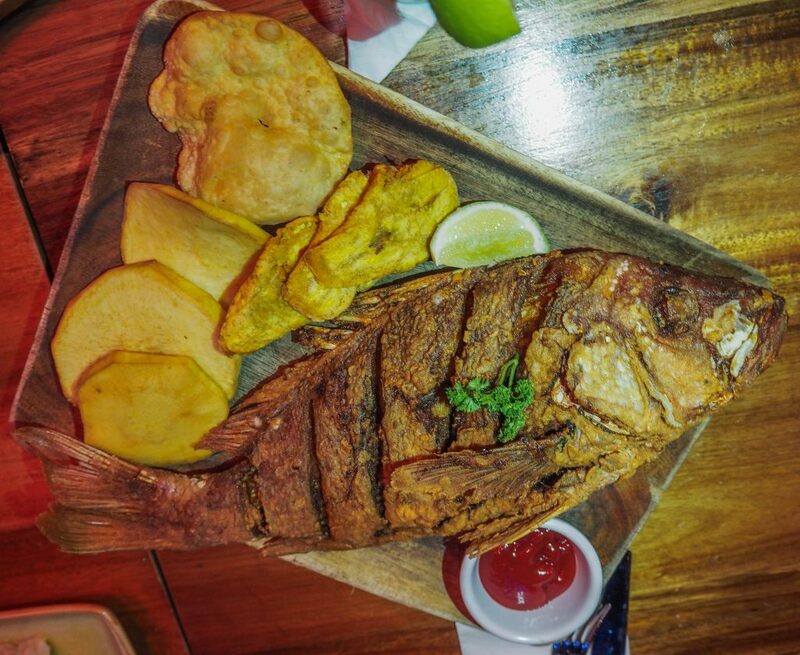 This flour fried red snapper (served “Boca Chica Style” was marinated with key limes, garlic, and oregano and served with twice fried green plantains and beetroot ketchup. Every country has their own style of sandwich and if you’re looking to get a taste for a country you can look no further than a simple sandwich shop. We stopped at a locals favorite in Santo Domingo, Barra Payan. 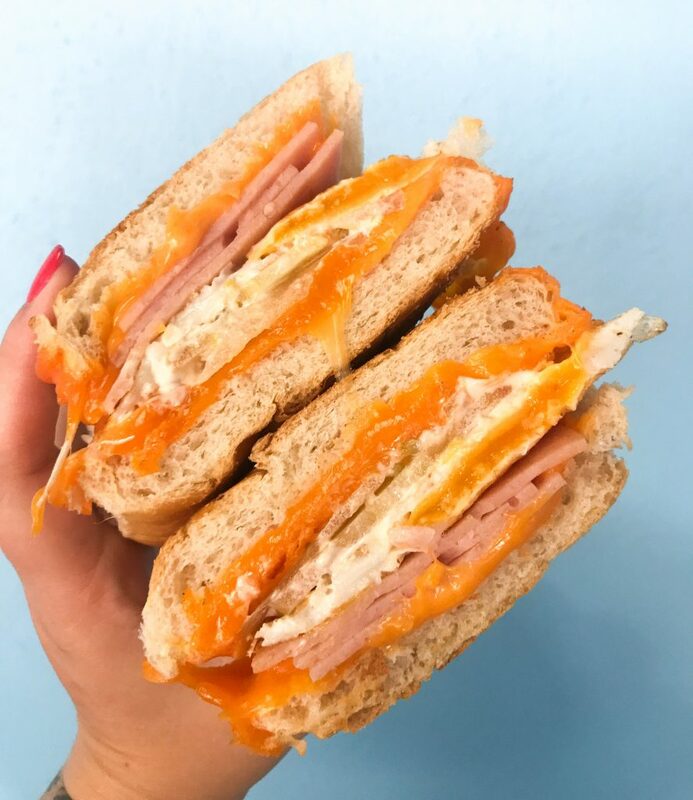 I ordered a more “American” sammy, ham, fried egg and cheese, and was not disappointed at all. 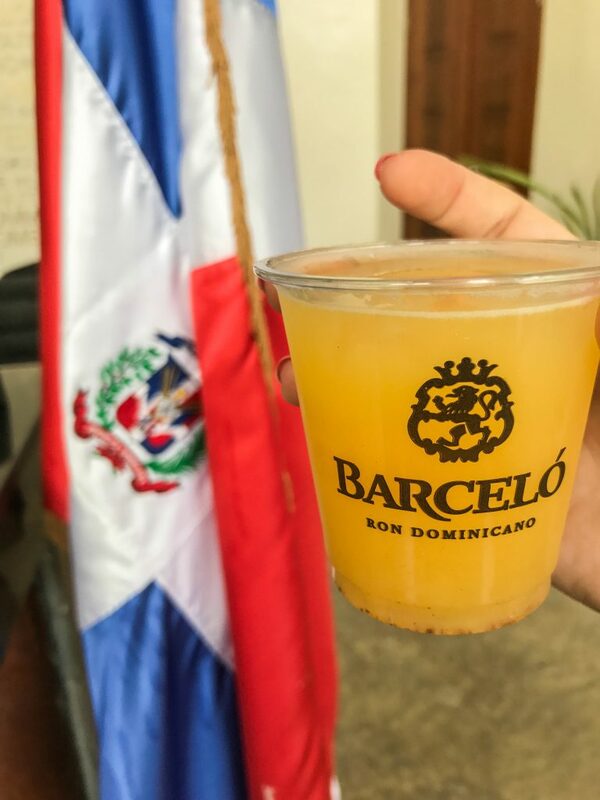 Bonus: Barra Payan also serves delicious smoothies (or juices) served traditional Dominican style – mixed with sweetened condensed milk: I highly suggest the orange, it tasted like a creamsicle! I hail from New York, which happens to be the king of egg sammy’s, however – Barra Payan is giving New York a serious run for its money. Now that I’ve covered what to try, I’m going to suggest some special foodie experiences to have across the island of DR. 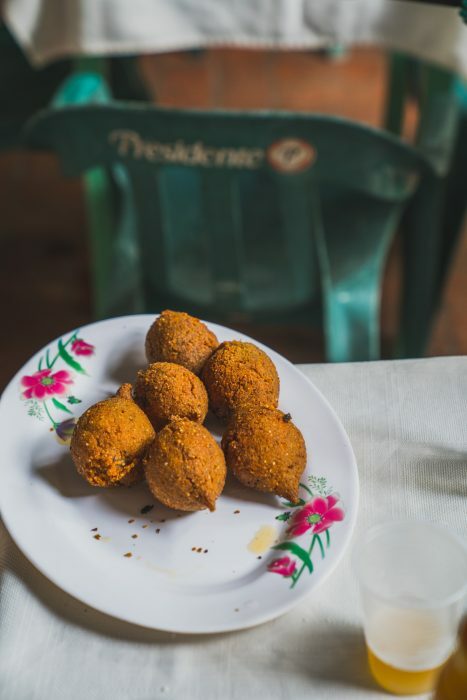 In the Dominican Republic, food is so much more than just what you consume to keep you going – but often an experience to have with friends and family. That bomb sancocho I mentioned earlier as a must try in DR? Why not learn how to cook it at home?! Hodelpa Nicolás de Ovando arranged for a cooking demonstration right at their hotel where we learned the tradition of sancocho as well as how to make it at home, on our own! 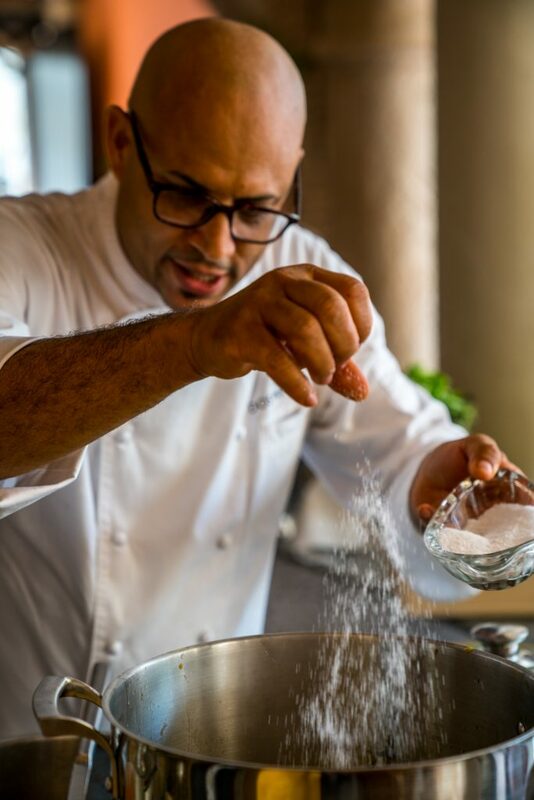 Chef Martin Omar González giving the infamous ‘salt bae’ a run for his money as he finesses the sancocho. The tomato tartare was delicious and super- instagrammable. 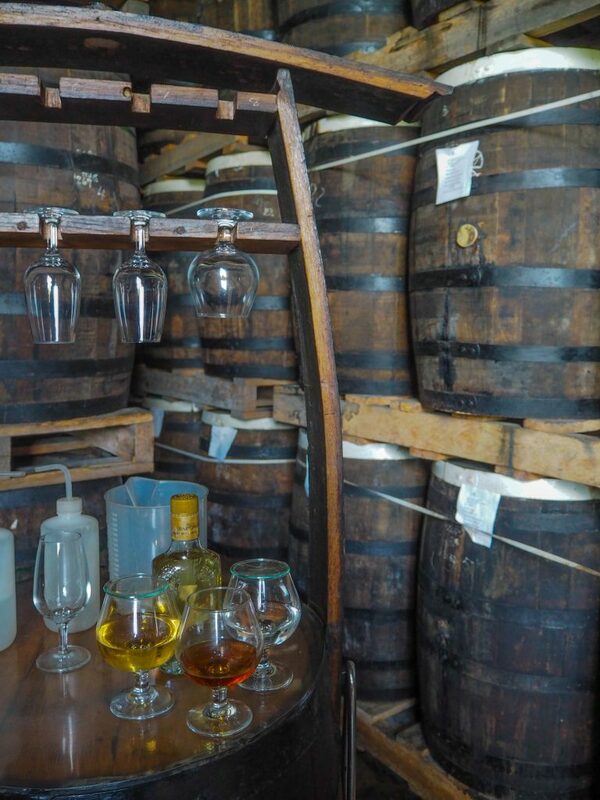 It’s one thing to try the rum in the Dominican Republic, but it’s another thing to experience a rum factory. Touring the Ron Barcelo factory was not only informative and educational but it was also fun and interactive! I won’t give away any of the tour secrets but I will say that this is a *must do* foodie experience when visiting DR.
A view inside of the area where all of the rum is barreled and aging as well as three different ages of the rum (we learned that the longer the rum ages in the barrels, the darker it becomes!). 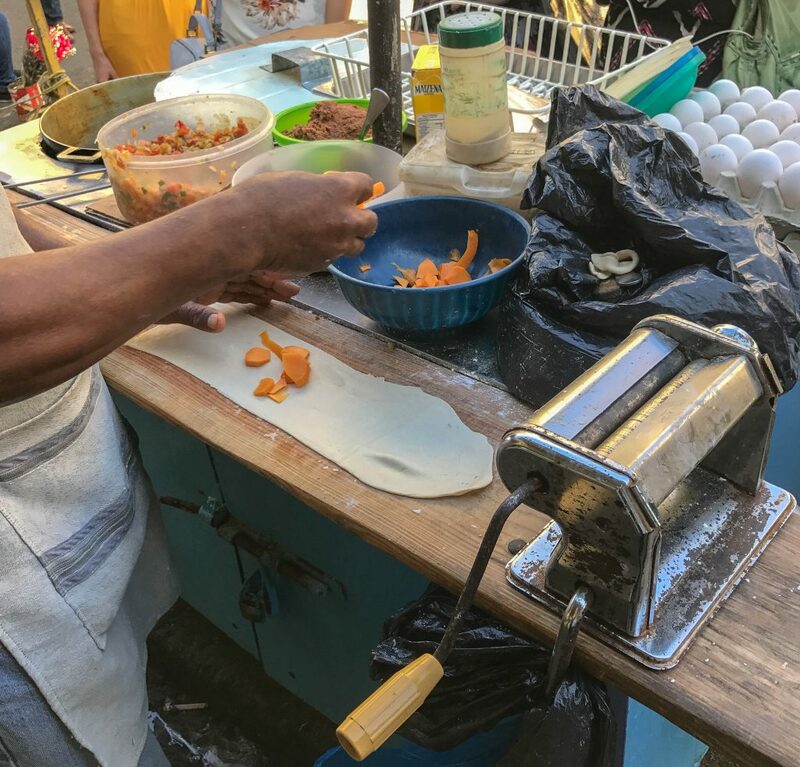 From empanadas to fruits and veggies to even an entire roasted pig – some of the best foodie experiences to have in the Dominican Republic can be found on the street. Locals and tourists alike enjoy these street delicacies and your taste-buds and stomach will thank you after! Roadside BBQ pork – some of the most flavorful, moist pork I’ve ever tried in my life! Empanadas in the making – as fresh as they come! Empanadas cooking to crispy perfection after being shaped and stuffed. Tomatoes? Beans? Limes? 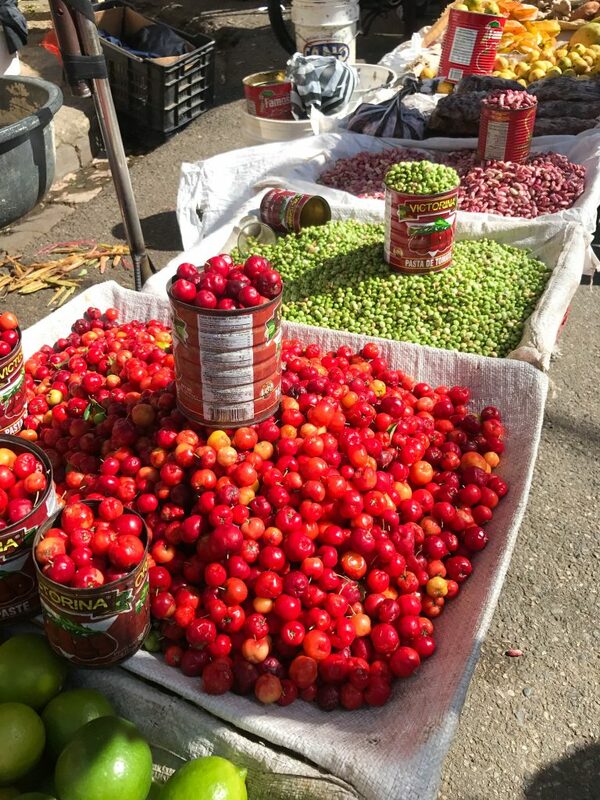 You can find all the produce your heart desires at the Mercado Modelo in Santo Domingo. 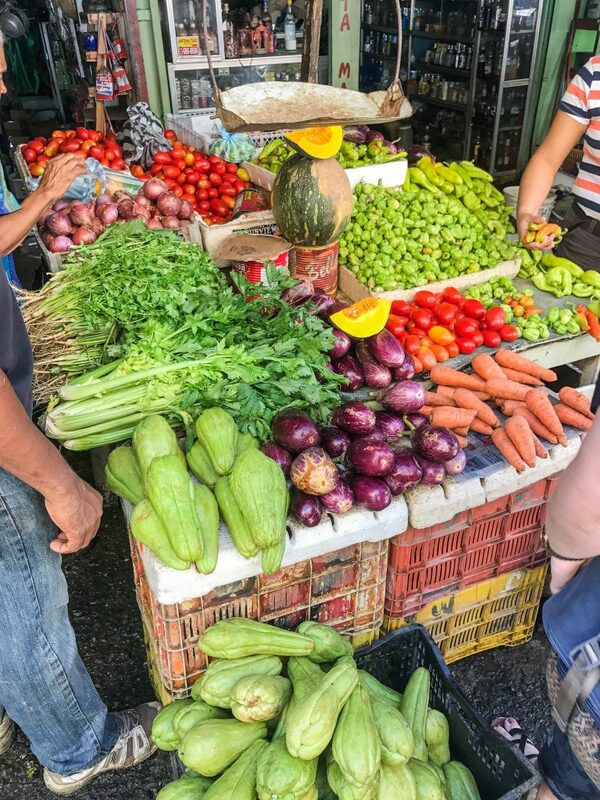 Did I mention that you can find all the produce your heart desires at the Mercado Modelo in Santo Domingo? From time shares to resorts and villas – the Dominican Republic has no shortage of luxe experiences. 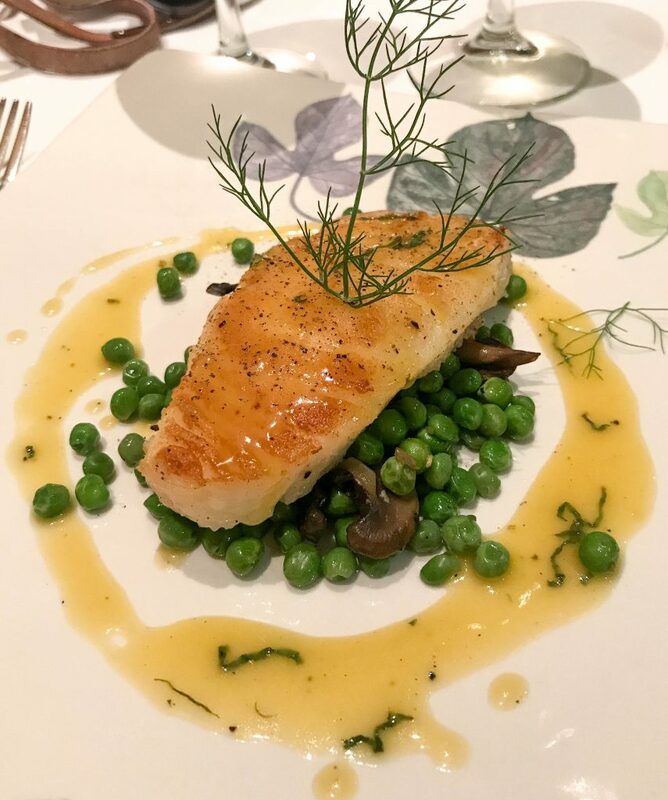 So why not go luxe with your food experience? 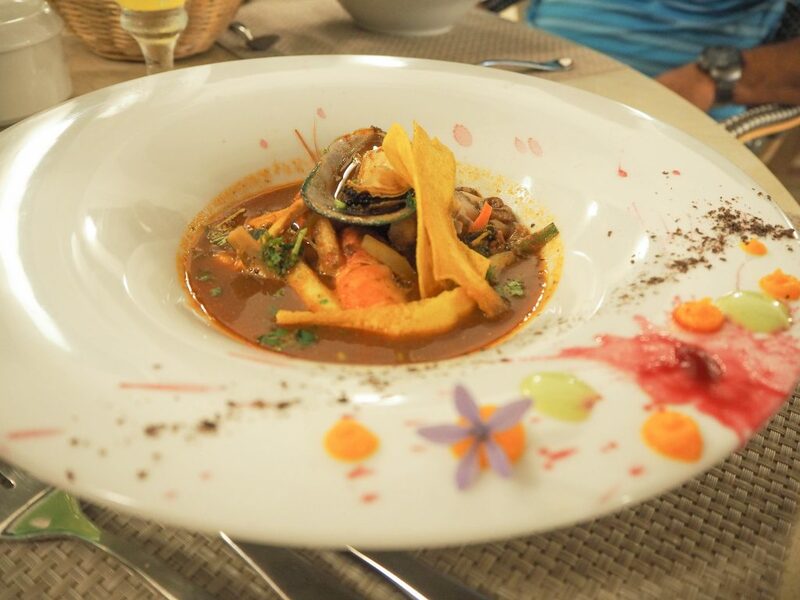 Dining at Lucia at the Casa Colonial Boutique hotel in Puerto Plata was a treat, to say the least. 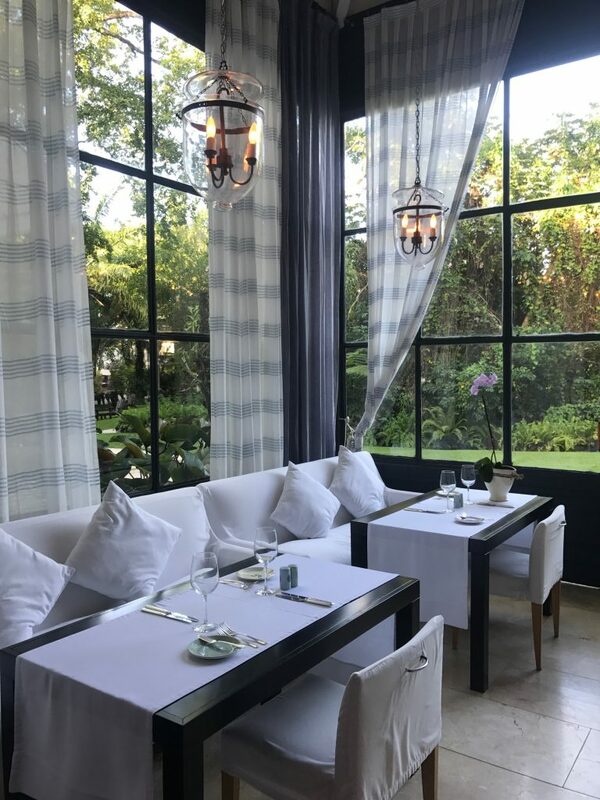 Luxurious white and grey décor with lanterns above each table and orchids adorning the area – the ambiance alone is the perfect setting for a great dining experience. The ambiance at Lucia was simply beautiful! Another amazing dining experience was at Sosúa Ocean Village, just outside of Puerto Plata. 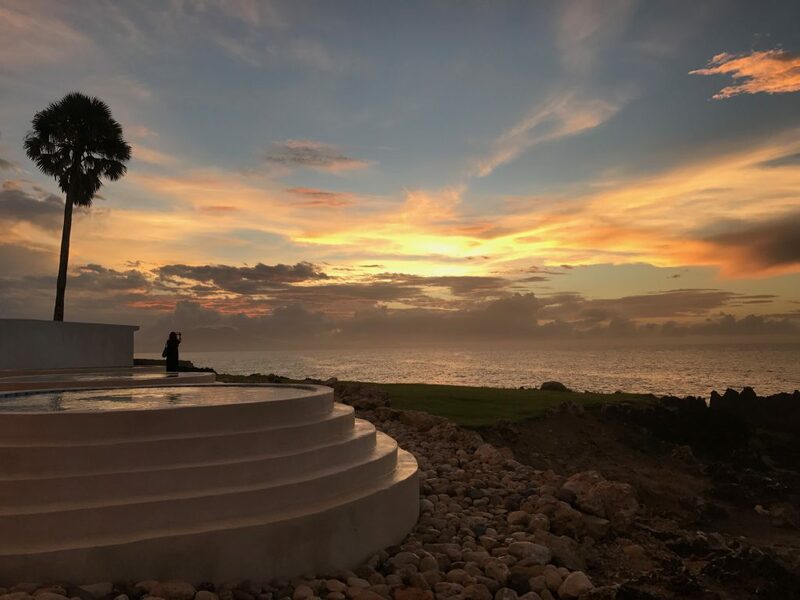 With gorgeous sunset views from their on site restaurant – you’ll have trouble deciding which to photograph – the perfectly plated dishes or the perfectly painted sunset-sky! The sunset view from Soúsa Ocean Village. 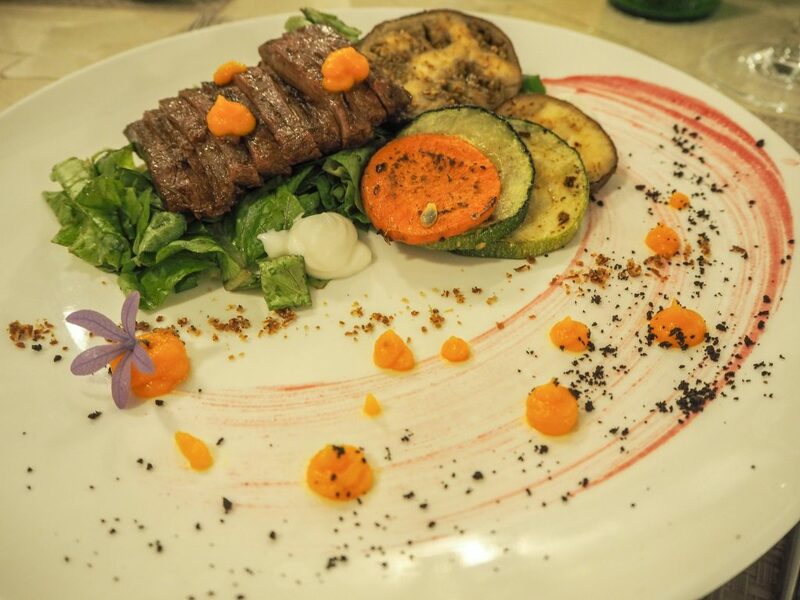 The delicious steak salad, plated perfectly with flowers and puree’s! The seafood soup which was also plated with pretty flowers and purees – a unique experience, for sure! 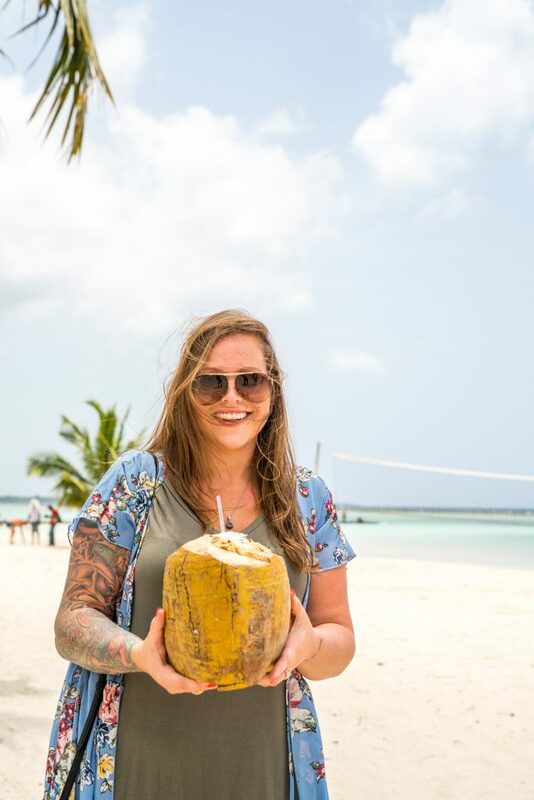 When it comes to the Dominican Republic, yes, the beaches are beautiful, yes you can fully enjoy your stay at an all-inclusive resort but YES you can also have unique, delicious, and amazing experiences experimenting with cuisines and dishes around the island. Take a break from the typical beaten path and explore the island like a local! *Disclaimer: I was hosted as a guest in The Dominican Republic by the Tourism Office, Go Dominican Republic. My opinions, as always, remain my own. To summarize, thanks for such an amazing post and make feel so close to something I entirely love of my roots. I’m so glad to have reminded you of a bit of home! So jealous that your aunt lives next to Barra Payan LOL. I, also, could easily have mangu, salami and fried cheese for breakfast (every. day.) I honestly could return to DR just to eat. This is awesome! 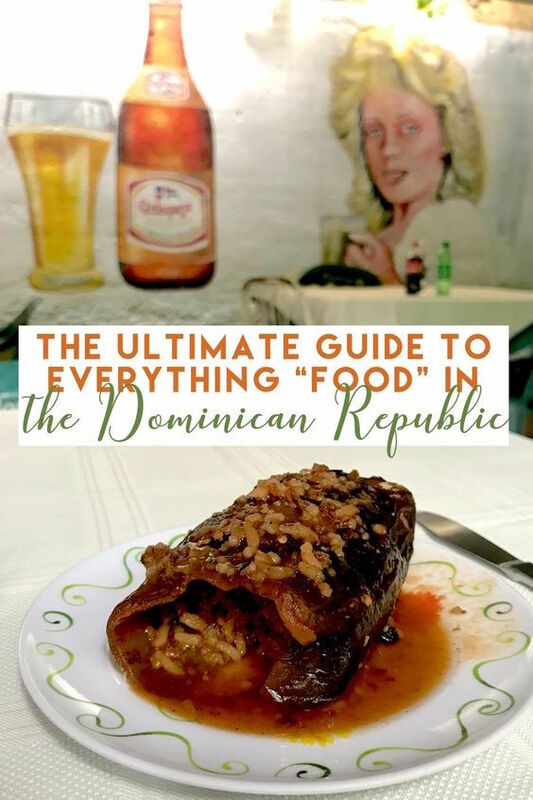 I’ve always wanted to visit the DR but all I ever heard about were the beaches – glad to see that there is a foodie culture there too! I’ve had mofongo in Puerto Rico so now I need to go try the DR version! Yummy challenge accepted!!!!! Fun fact: PR and DR actually have a little discrepancy as to who invented mofongo LOL either way, they’re both doing it deliciously. I’m glad to have opened your eyes to a little bit of the DR culture! Oooo this all looks tasty! I admittedly did not get to eat as much of the local cuisine as much as I would’ve liked when I went so I will have to check all of these out next time I go! And PS – now I’m hungry! Haha, sorry for sparking a bit of hunger! 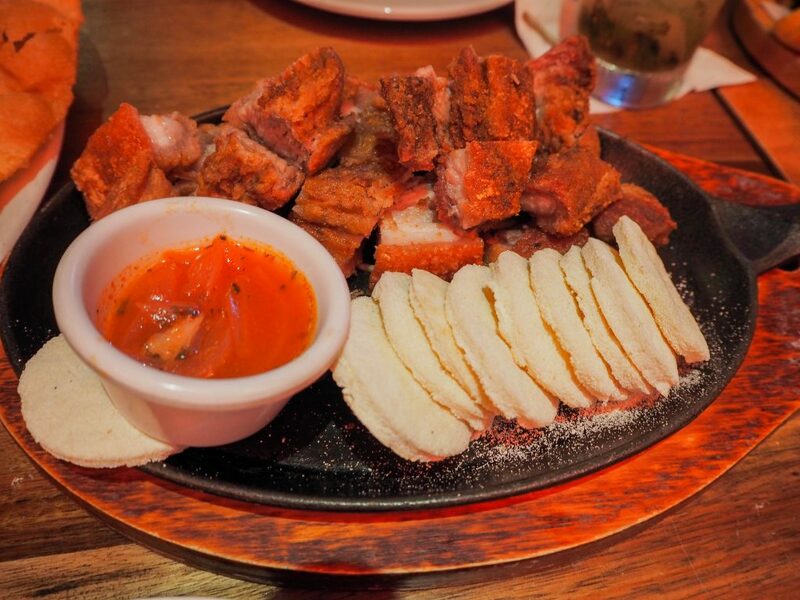 I’d totally suggest going back and giving it another try – the local cuisine is to. die. for. The rum tasting looks super fun! And never had Quipes before, but we want to try them now! Great post! they. were. so. delicious. LOL thanks guys! That photo of you holding the giant coconut is #foodiegoals. Everything looks delicious!